Acupuncture is considered an alternative to conventional forms of medicine in the West and is actually one of the oldest healing practices in the world. In China, Japan, Korea, and other Asian countries, acupuncture has been used forthousands of years, and its staying power isn’t merely a matter of superstition or coincidence. Herbs and other therapies such as guacha, cupping, and moxibustion—the burning of herbs on or over the skin—can be used to support the healing. Acupuncture, it turns out, does something completely unexpected—itdeactivates certain parts of the brain, particularly in the limbic system,decreasing neuronal activity, opposed to having an activating impact. Their experiment also clearly showed that superficial sham needling did NOT have this effect. The limbic system is associated with our experience of pain, adding further evidence that something very unique happens during acupuncture—it quite literally alters your experience of pain by shutting down these deeper brain regions. 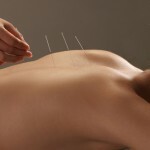 One of the most common uses of acupuncture is for the treatment of chronic pain. One analysis2 of the most robust studies available concluded that acupuncture has a clear effect in reducing chronic pain, more so than standard drug-based pain treatment. Study participants receiving acupuncture reported an average 50 percent reduction in pain, compared to a 28 percent pain reduction for standard pain treatment without acupuncture. Another large, well-designed study3,4 assessing whether acupuncture might work for osteoarthritis—a debilitating condition affecting more than 20 million Americans—also produced remarkably positive results.